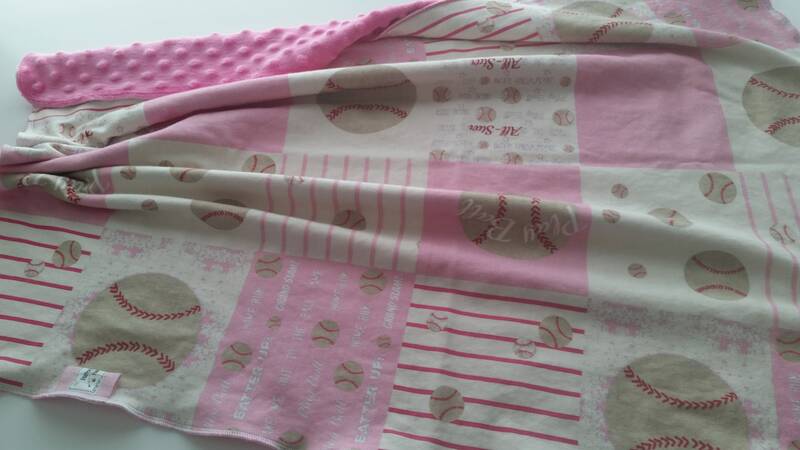 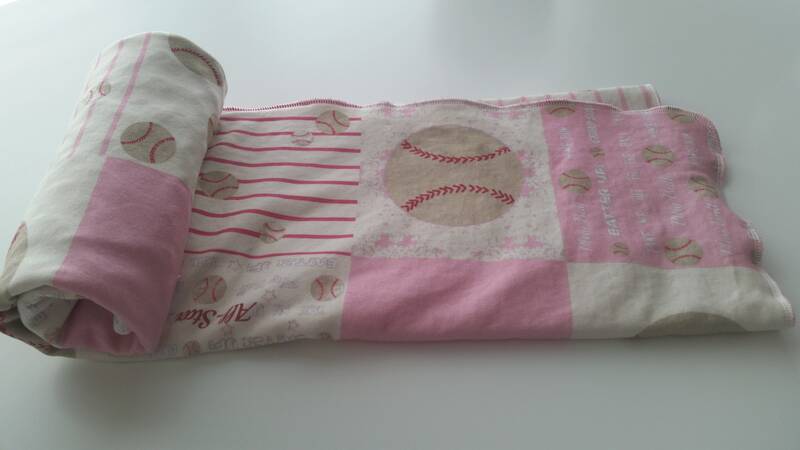 CUTE as can be pink baseball blanket for baby sister! 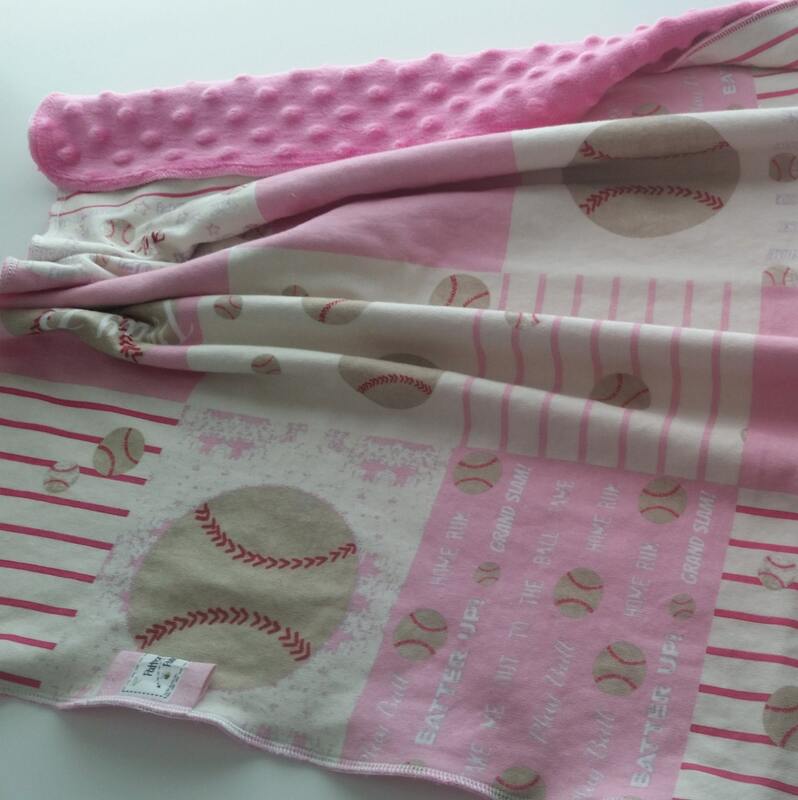 Cozy soft organic cotton newborn baby crib / toddler stroller blanket with super soft minky dimple dot fleece in beautiful berry pink back. 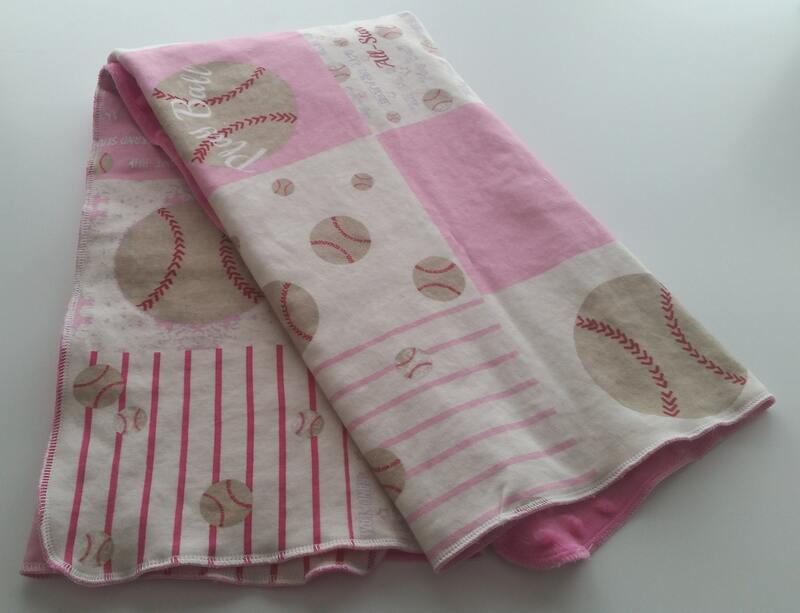 Sized just right for little hands to become a favorite security blanket to take everywhere. 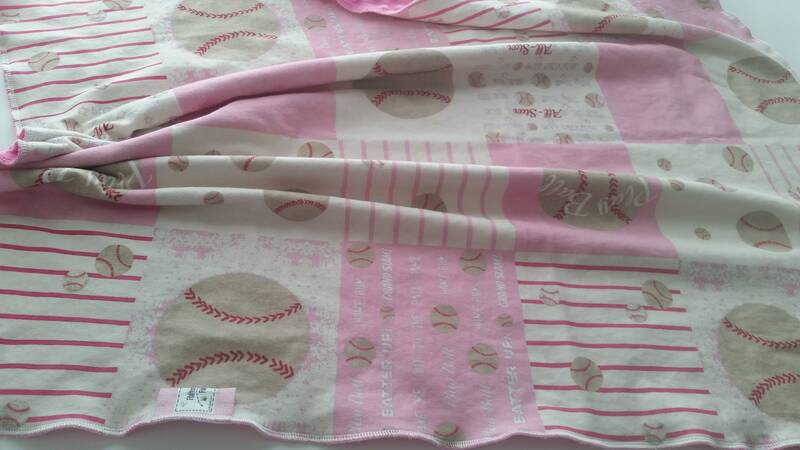 Perfect size newborn blanket that doesn't overpower baby. 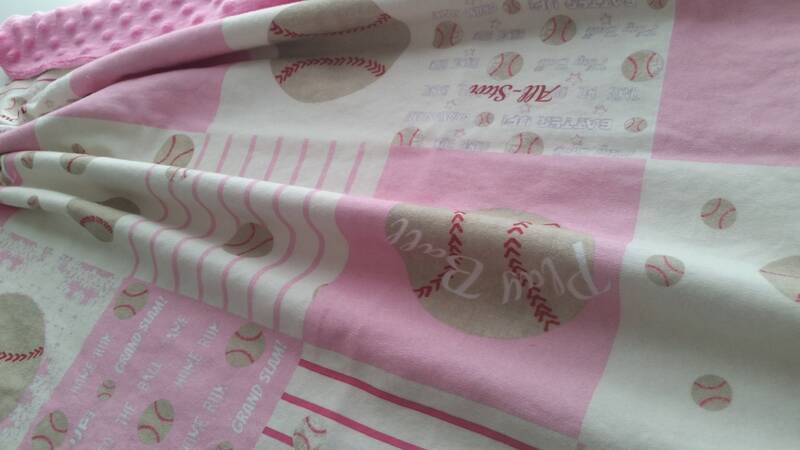 Sporty baseball quilt print design is filled with vintage baseballs and quotes like "take me out to the ball game" Batter up" "Grand Slam" "Play Ball" all in pink and creamy beige color way.